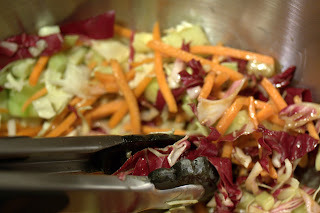 Coleslaw comes from the Dutch "koolsla" meaning cabbage salad. 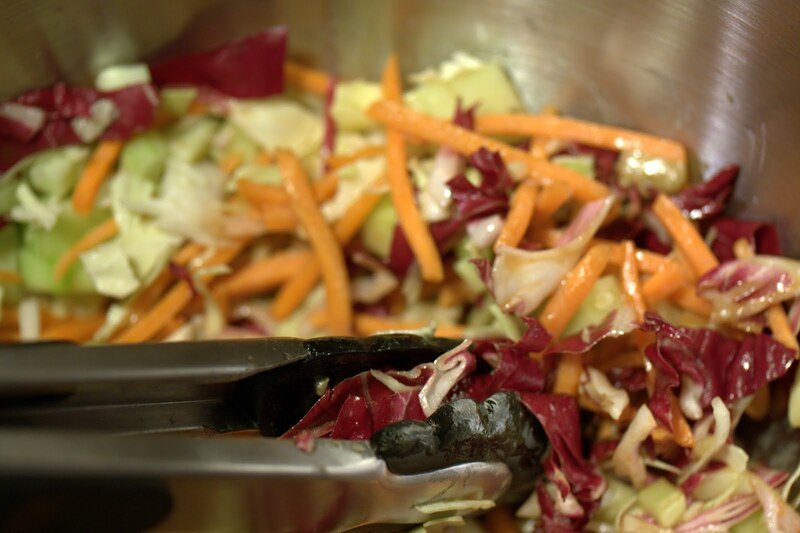 While the English term comes from Dutch (likely from Dutch settlers in NYC), coleslaw actually dates back to ancient Roman times. 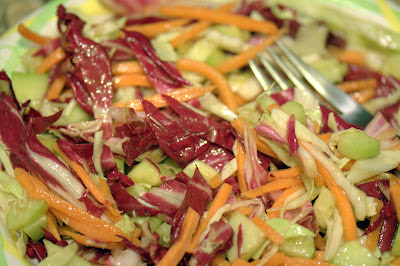 Traditionally, it was made with a vinegar base, as mayonnaise wasn't invented until the mid-18th century. I'm not a fan of the mayo-based varieties, so I went the traditional route and used vinegar-based dressing for this version. It's light and refreshing; pair with your BBQ/picnic faves. 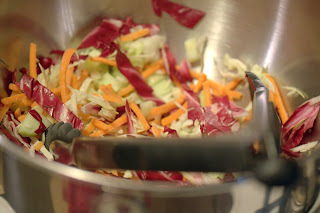 Notes: I used an immersion blender to make the dressing, since it's so simple. 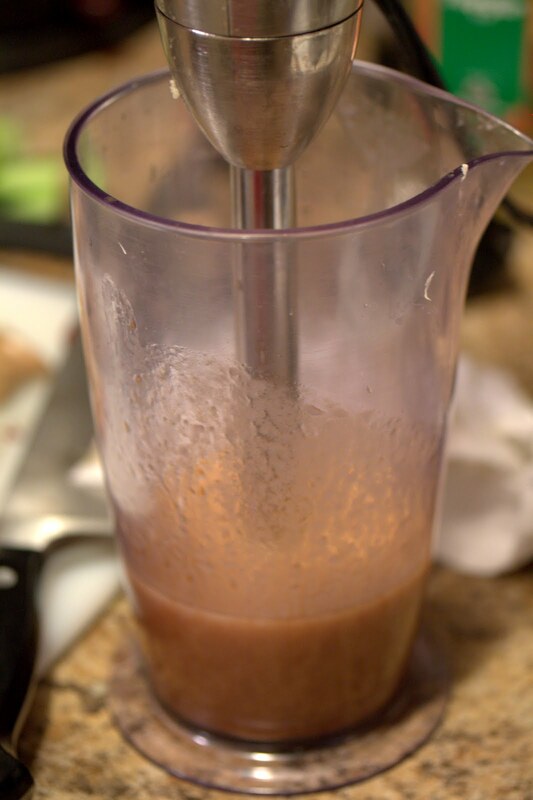 You can use a standard blender as well. If making it by hand, whisk the ingredients together, except peanut oil, and add the peanut oil in a slow stream until the dressing forms.